Ocean Classroom Foundation (OCF) recently said congratulations to 23 high school students from Proctor Academy, as they graduated from OCF’s nine-week long Discovery High School program. They boarded the historic schooner Harvey Gamage in September, leaving Gloucester, MA, their families, and their “normal” school environment. In exchange, they received the adventure of a lifetime – traveling more than 3,000 miles to the Caribbean, gaining invaluable maritime knowledge, and learning just how strong one needs to be when contending with the unpredictable seas. Gamage’s sister ship, the Spirit of Massachusetts, has also been busy since September, as a group of college students boarded for OCF’s SEAmester program. 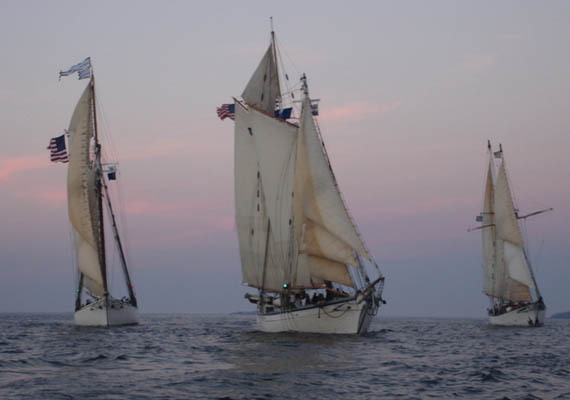 SEAmester allows college students to spend an entire semester at sea, earning college credits in marine science, navigational science and the humanities from the University of Maine. During these two voyages, the ships made stops at several ports of call, including Mystic, CT, the Chesapeake Bay, Beaufort, NC, Cumberland Island, GA, the Dominican Republic and San Juan, Puerto Rico. During and between these stops, students were fully engaged in the operation of a traditionally rigged schooner, and took classes in maritime studies. In addition to learning about sailing, they discussed modern day issues such as changes in local fisheries and regulations, environmental impact and emerging green energy options such as offshore wind energy. 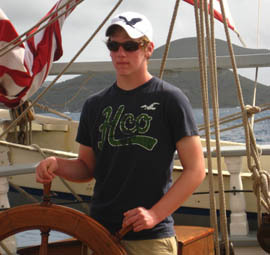 In addition to the Discovery High School and SEAmester programs, OCF offers Seafaring camps during the summer months. 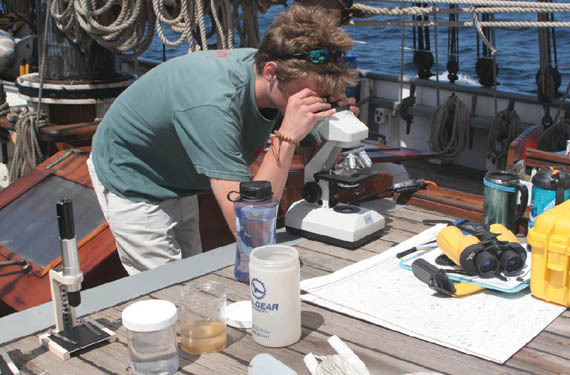 Seafaring Camps are one and two-week adventures for middle school and high school students exploring the marine environment of coastal New England and the Western North Atlantic to learn about the sea’s rich diversity of life, history and lore. Through investigations led by the ship’s education officer, students observe whales in their natural habitat, collect plankton, visit historic sites and museums, and share sea songs and stories. These camps are geared for 13-18 year olds, and run from one to two weeks. Students stand watch with the professional crew and learn the time-honored arts of the seafarer – sail handling, steering by compass, knots and splices, and navigation. They discover the life and mystery of the ocean world as only a sailor can, while making fast friends through shared adventure. Twenty-one to 23 students sail each session with eight professional crew and an educator, so everyone is fully involved and the instruction is tailored to each camper’s skill level. 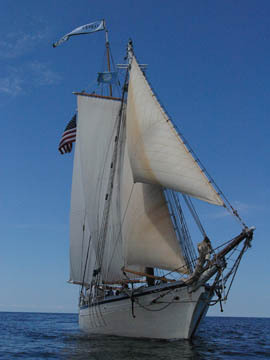 The Harvey Gamage and Spirit of Massachusetts are two of three such vessels (Westward is the third) that provide students the opportunity for experiential education at sea. OCF’s programs run year-round and sail from the Canadian Maritimes to the Caribbean. These award-winning programs are structured adventure expeditions, integrated with academic studies in marine science, maritime literature and history and marine applied mathematics. While OCF students don’t know what lies ahead during their journey at sea, they do know that sitting in a classroom on land won’t even come close to this experience. OCF remains committed to sending students and teachers to voyages on the sea. To learn more about OCF programs, and how you can give to these programs, visit us at oceanclassroom.org. Based in Boothbay Harbor, ME, the Ocean Classroom Foundation is a non-profit, experiential education organization using the power of the sea and the challenges of seafaring to help students attain academic excellence and personal growth, and to encourage good stewardship of the ocean world. For more information, please call 207-633-2750 or email us atmail@oceanclassroom.org.